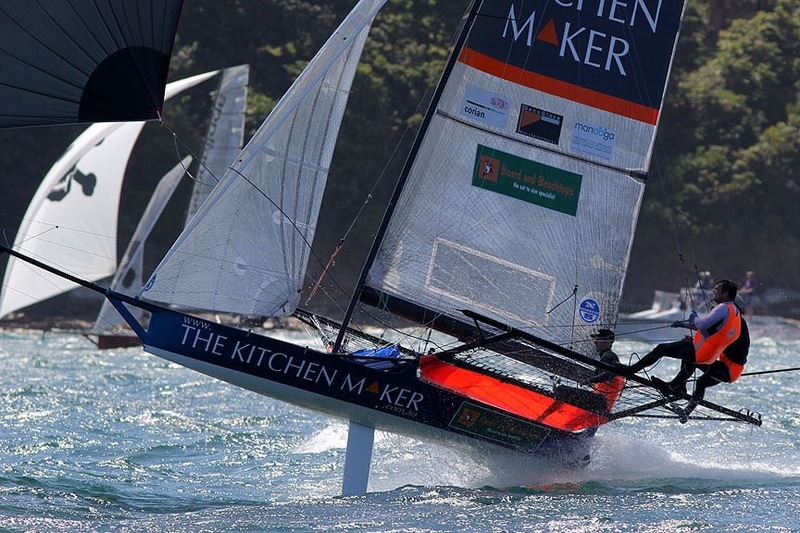 18 foot skiffs have a fantastic racing scene on Sundays out of the Australian 18 Footers League in Sydney. 18 foot skiff fleet racing downwind. Frank Quealy photo. and sign up for Pick the Podium if you want to pick a winner in the racing.